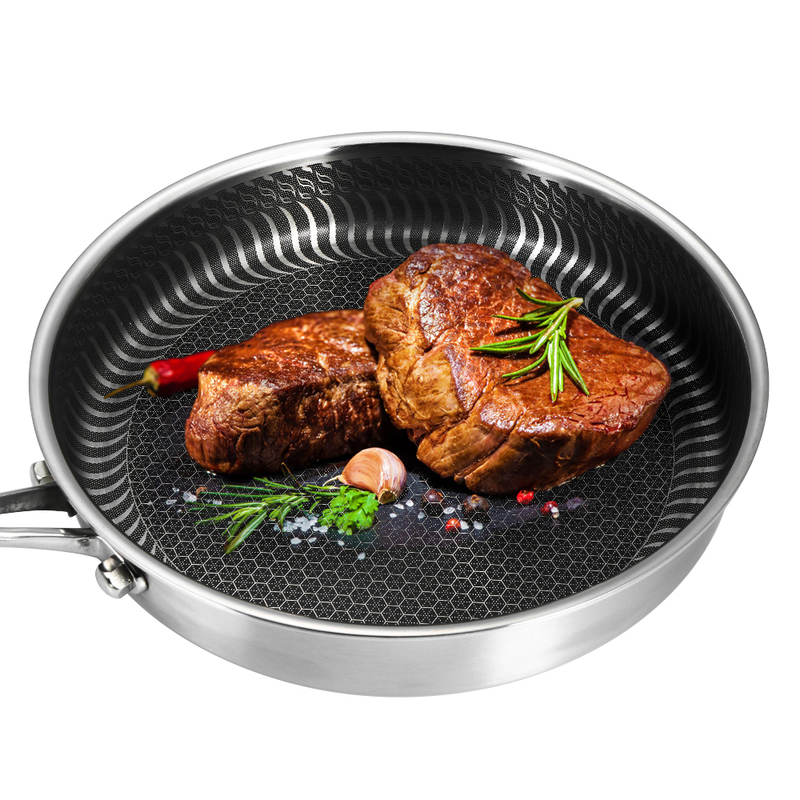 Reliable Quality: made of high quality stainless steel, rust-proof and durable, also no problem to use with a steel spatula. 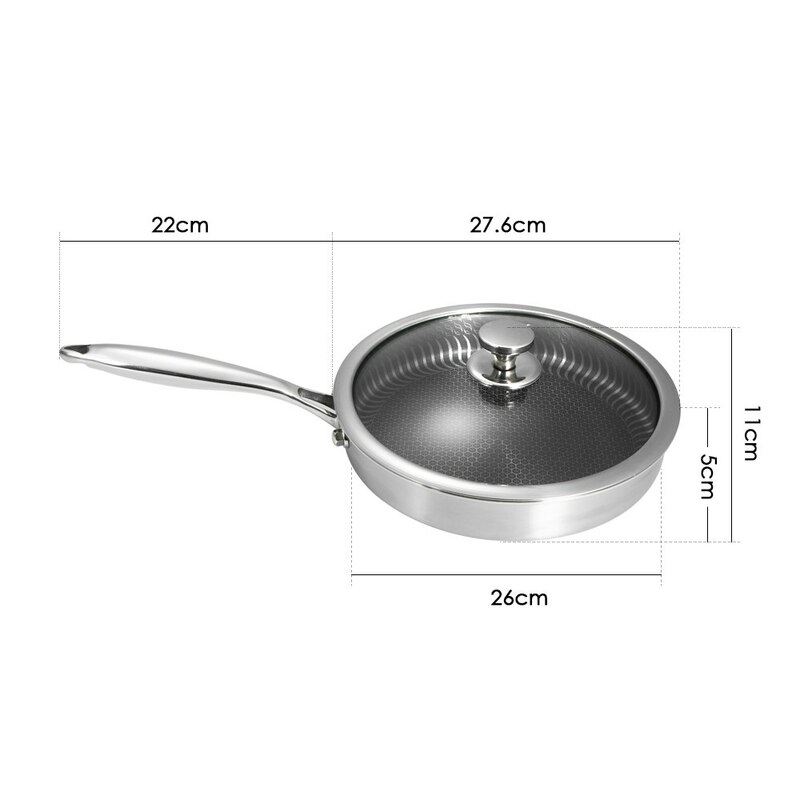 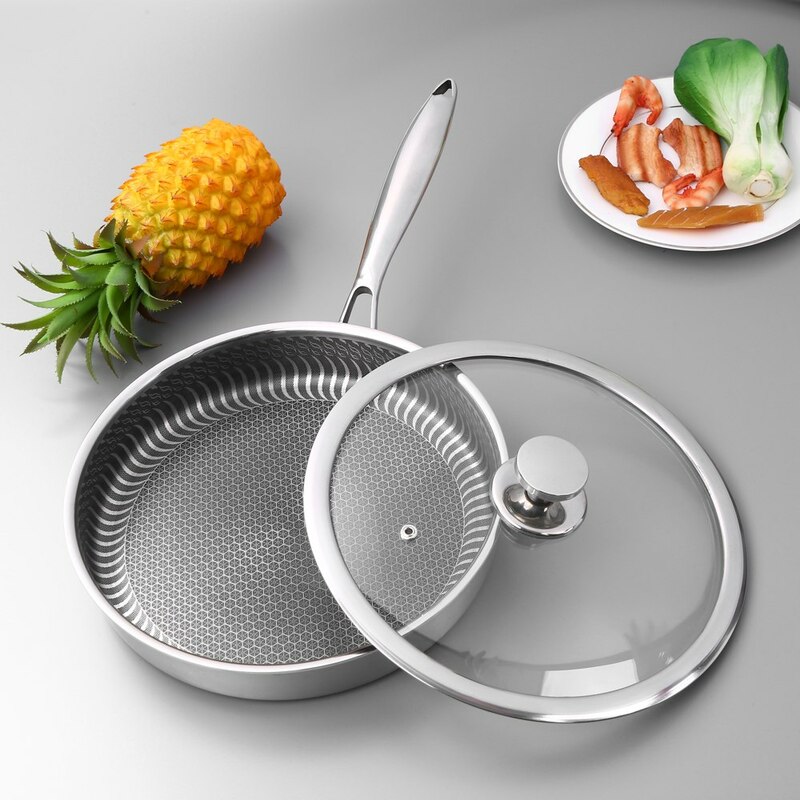 Non-stick Surface: constructed in a honeycombed and combination with non-stick technology, pan is really non-stick, no more worrying about food get stuck when cooking. 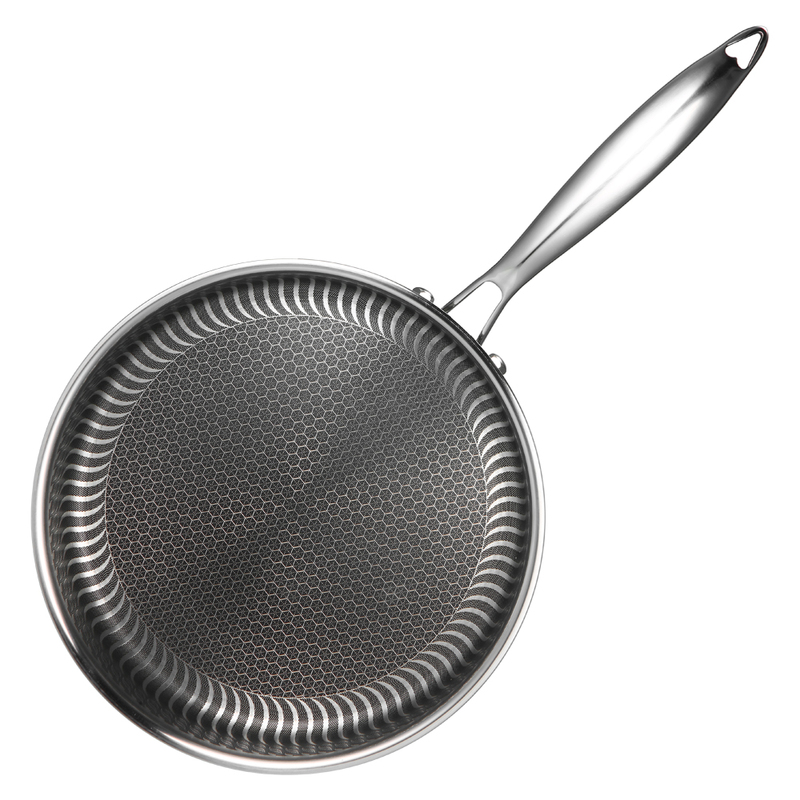 Ergonomic Handle: heat insulation SS handle is safe to use, and there is a loop at the handle for hanging the pan on the hook. 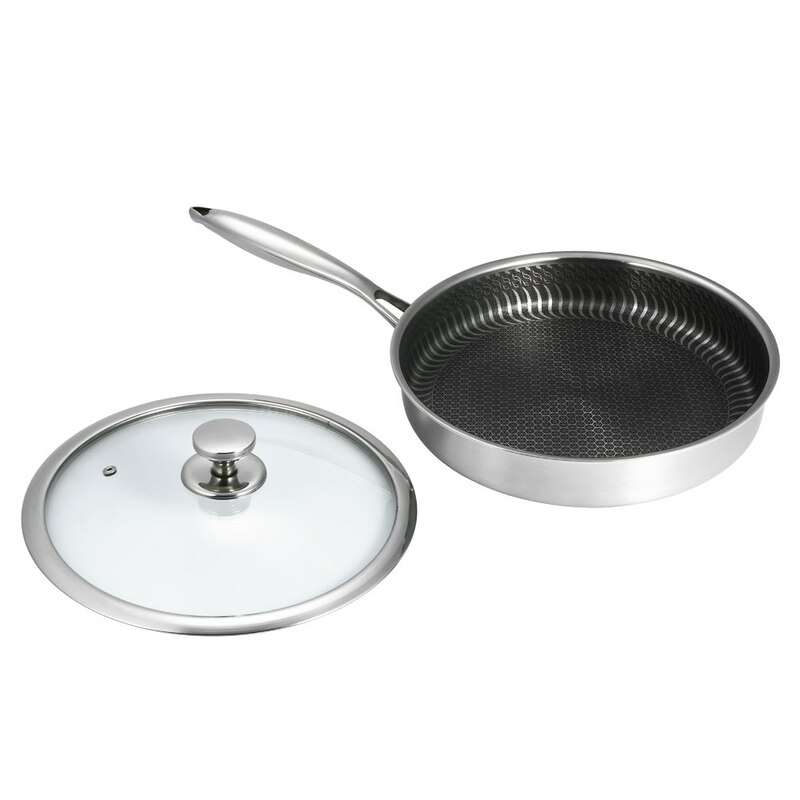 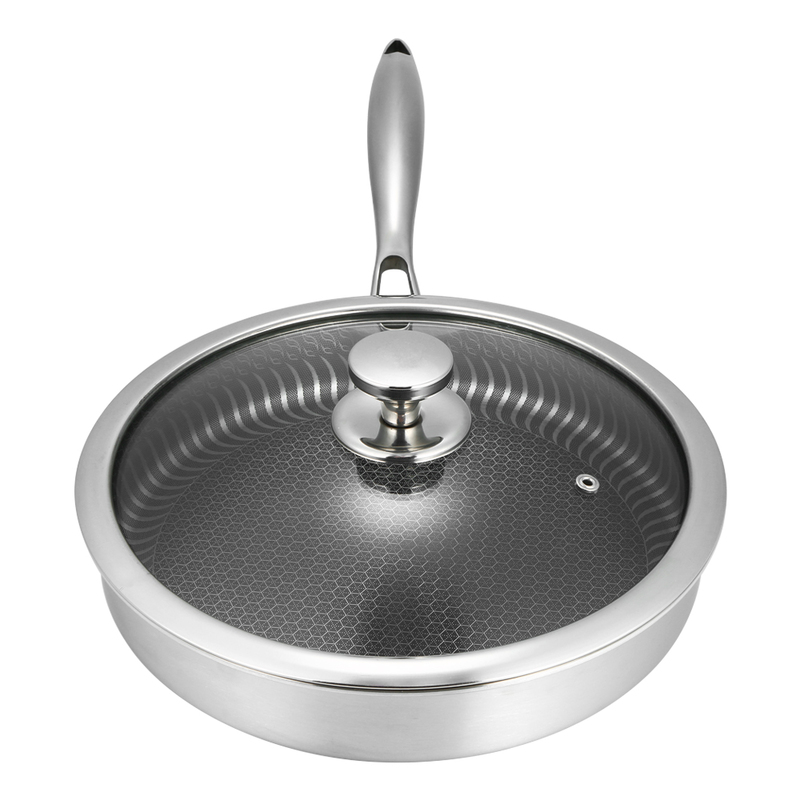 Easy to Clean: one body formed, the pan is easy to clean. 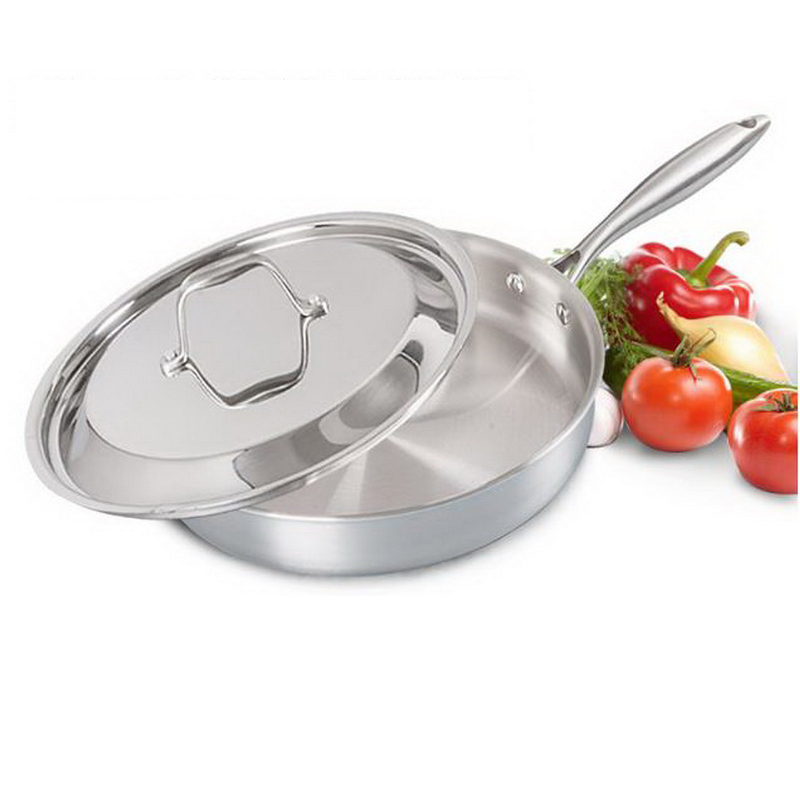 Lid Included: transparent tempered glass lid allows you to keep an eyes on the food your are cooking. 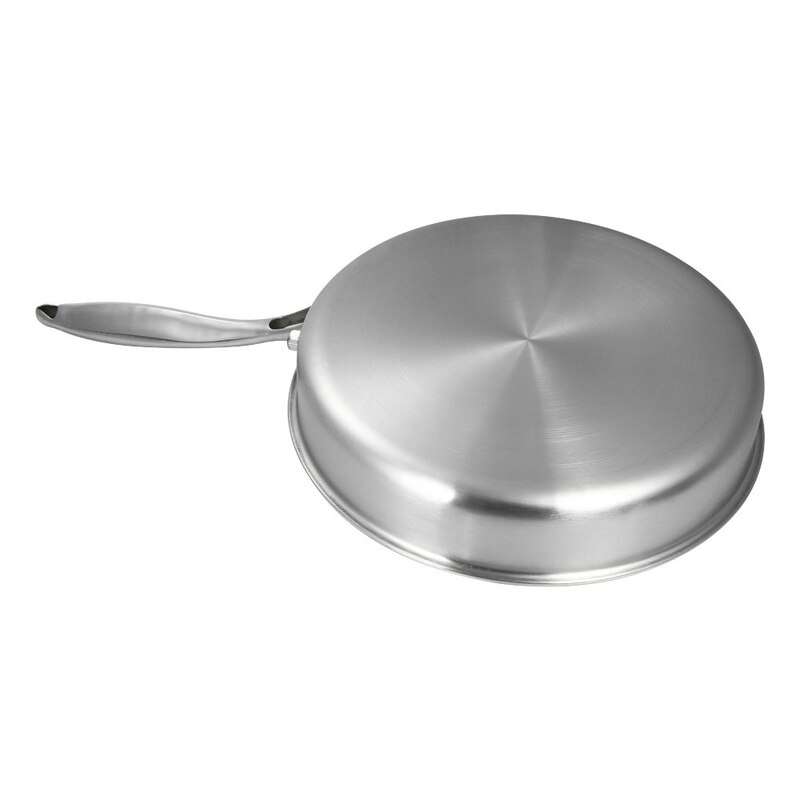 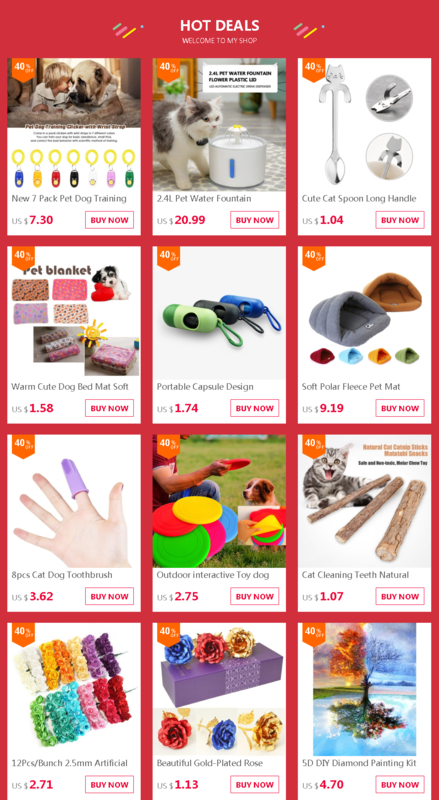 Heat Resistant: applicable to gas stove, electric stove, induction cooker, radiant-cooker, etc.